Preety Quilts & Things - By AJ Decor Supplies: QUILTED CARPETS - NEW STOCKS ARE HERE!! DOTW will take place on every FRIDAY. Few items will be offered at super crazy prices. The items will be picked at random on Friday morning itself. So, please do not ask me in advance on which items will be in the DOTW; i need to be fair to everybody. 1. The offered prices are valid on that day itself. 2. No booking. The first to pay will get the items. 3. Payment must be made on the day itself. Otherwise, it will be sold to the second person in the waiting list. So, do visit my blog regularly and do not miss our 'Deal Of The Week'day!! 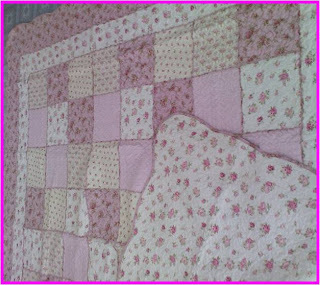 Love Me or Hate Me, I'll Still Shine..
Preety Quilts & Things Facebook - Like Us Now!! Home is the best place to be!! QUILTED CARPETS - NEW STOCKS ARE HERE!! Take note that the pricing is different for each quilted carpet depending on the designs ie printed, patchwork, knitwork, etc. Combi of Patchwork & Knitwork. Maroon. The true Country Style. Geometrical Patchwork. Combi of Pink & Green with check borders. Can we call it 'garden style'? Hot Cocoa. Rare but yet nice.. Bright pastel colours to liven up your living room. Patchwork and Knitwork. Combi of Green & Buttery Yellow. Patchwork and Knitwork. Refreshing Blue. Patchwork and Knitwork. Pastel Green & pink. Patchwork. All time favourite. Sweet Pink. Another all time favourite. Pastel Green. Purple, pink & cream. Patchwork. 2. Kami akan reply e-mail untuk maklumkan stocks availability, total cost dan banking details untuk tujuan pembayaran. 3. Buat pembayaran terus ke akaun kami. 4. E-mail atau smskan butir2 pembayaran mailto:preetyquilts@yahoo.com.my atau 013-3808070 bersama2 dengan alamat penghantaran. 5. Pengeposan barang akan dibuat pada setiap hari Isnin, Rabu dan Jumaat. For your easy reference, effective from 1/8/2011, all postage tracking number will be posted here.